Mortal Kombat Co-Creator Discusses MK in other Media and the Second Half of his MK mythology! By his own admission, the John Tobias of twenty years ago had no idea he was creating one of the most successful franchises to come out of American gaming. As a young artist in Chicago, Tobias had big ideas, envisioning a fiction that endures to this day (in some shape or form), but the journey to 1992's breakout hit -- Mortal Kombat -- would take more than ideas. Together with Ed Boon, Tobias holds the credit of co-creator of Mortal Kombat -- an acknowledgment that goes beyond the arcade and home consoles, to result in a massive multi-media phenomenon spawned from ideas and characters! In Part 1 of our conversation with John Tobias, he took us through some of the early influences that helped shape the series to follow. From abandoned name choices, props and influences, to movie references and guest stars, the games origins are there to scrutinize. In this second part of our twentieth anniversary retrospective, we continue the conversation, entering the explosion of Mortal Kombat into other mediums, and addressing the final chapter of Tobias' time with the series before his departure in 1999. Modern Prometheus: John Tobias confronts Goro - brought to life for the 1995 film. [Mortal Kombat Online]: At this point, MK is in every conceivable realm of media -- including movies. What were your feelings toward the series leaving your hands and being reinterpreted for Hollywood? [John Tobias]: We were always focused on the games so we missed some of that excitement. We got mostly good vibes from the folks working on the first film. We had to kind of keep faith in what they were doing, especially after the Street Fighter movie debacle. I thought the first film did a lot of things right in capturing the mood of our games. I think that because of the way we told our story in the game, we created a real hunger in the player to see that story told in an expositional way and the best medium to do that is film. It was then, and it still is today. Nowadays, games choose to do that stuff in cutscene exposition and so I feel it kind of makes film adaptation redundant. MK's relationship with media proved mixed after the first film. What did you make of the alternate version that permeated throughout Threshold Entertainment's use of the license? I did follow and participate in the development of some of those things. We tried to have a positive influence where we could, but ultimately we didn't own the direction of the finished products. It was fine when it worked and frustrating beyond comprehension when it did not. With director Kevin Tancharoen, the movie version of the series took another harsh left turn. 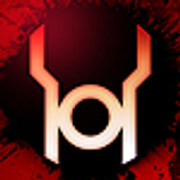 Did you see his "Rebirth" short and Legacy series? What did you think of it? I thought that Rebirth was riveting as its own piece and appealed to a certain segment of MK's demographic, but in the end didn't feel like MK to me. Much of Legacy hit the mark much closer. It's exciting to see what comes of it and how a future film develops. Ed tells me that Kevin is a true fan of the series and so I wish him the best of luck. It's an exciting time to be an MK fan. "... Rebirth was riveting as its own piece and appealed to a certain segment of MK's demographic, but in the end didn't feel like MK to me." Yet another version of MK was realised through Malibu comics, tangential to the comic book work you did. How do you think the comic book versions stacked up? I honestly don't remember much about Malibu's comic series, except that I thought some of Patrick Rolo's cover work was outstanding. Your official comic book tie-ins lasted until MK4. How important did you feel they were to expanding the mythology? I think for a while they were the only place that a player could go to fill their need to learn more about the story from an expositional standpoint. The first comic was the springboard for the first film's story, so I think it played an important role. The comics gave me an outlet to tell story in a different way than we did in game. Between the comic, MK4 and Mortal Kombat Mythologies: Sub-Zero, the story was starting to become much more spread out, if not elaborate. What prompted the expansion and how far was it intended to go? Looking back, I actually think I lost my way a bit in that era. I remember thinking that while I was writing the story for the MK4 comic. I had all of these ideas for the story I should've done for MK4 and thought I'd have an opportunity to tell them in some future iteration. Sadly that never happened and that story sits in my cobwebbed noggin. A player in this era of MK was Quan Chi -- a character who has arguably proved the last to reach the status of the original cast. How was the character created? Quan Chi was meant to fill a void vacated by Shang Tsung, and so I think he worked initially because he had that purpose in relation to the other characters in the story. But he was also a visual departure as well. I think I was listening to a lot of Nine Inch Nails when I drew him. We all saw Quan Chi as a great character to cross promote between media. In many ways, MK4 proved to be the end of an era. It was shortly after this you left. Over time, your departure has been painted as much less salacious than rumor would have it. What were the circumstances of your leaving MK and do you think it was the right move? I was looking for the right opportunity to start a studio and the beginning of next generation console development looked like the best time to do that. The industry environment was very different back then and it was the right move for me at the time, although in hindsight I would have handled the transition differently. Of course, I do miss playing with my box of toys. Before your departure, you were attached to the second and most infamous spin-off, Mortal Kombat: Special Forces. How did that project come about and how deep into the process did you get before leaving? The Sub-Zero game performed well enough that another spinoff made sense. Our difficulties in development had a lot to do with our ability to make the transition from coin-op to console development. I don't remember too much about it, but I know the game needed a lot more work, and pushing its release back would've jeopardized our ability to hit the sweet spot for a next gen development deal. That created a difficult situation. A Black Dragon member called Tremor appeared as a musclebound boss in MKSF. Can you tell us what the true origins of the character were? 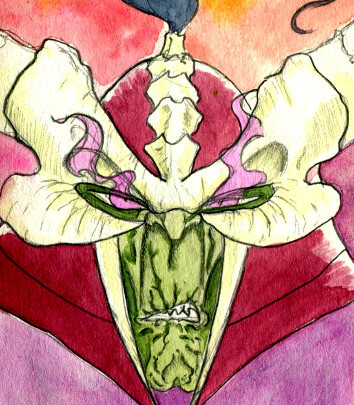 I do remember having big plans for Tremor, but when I conceived him, he wasn't a member of the Black Dragon. 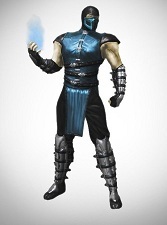 He was a Lin Kuei hired as muscle by a mad man who was trying to open a gateway between Earth and Outworld. Between MK3, MK4 and MKSF, your last contributions were all seemingly directed toward new areas of the fiction. Where do you think the series might have gone had it remained under your pen? I knew exactly what I was going to do with a future story. A few years ago I began studying film and story and began cranking out screenplays for practice and one of them was a sort of sequel to the first MK film and an advancement to the game's mythological roots. The goal was to not runaway from what came before with a retelling, but to move the themes forward. I did it for fun as an exercise in screenwriting, but it felt good to get that out of my system. Have there been any elements since your departure that really stand-out to you? I'm only vaguely familiar with the MK games of the last decade with the exception of the last two. 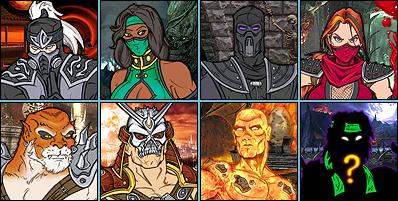 I really like the revisiting of our old palette swapped characters like Ermac and Noob Saibot. It's great to see them get proper treatment. Time travel, or something like it, officially entered the MK canon with the most recent game. If you could send a message to yourself twenty years ago, what would it be? Buy Apple stock. Thank you very much for your time and your role in creating the twenty year legacy of Mortal Kombat. You're welcome and thanks for the interview. Thus concludes our conversation with John Tobias. We had hoped to spend more time talking to John, but as you'll know, news recently broke of his recruitment as Creative Director for Zynga San Diego [full story]. We will look forward to seeing what comes from Tobias in the future as he gets busy back in the development game! You can still read and comment on In Konversation Part 1, where we discussed the classics in greater detail. Mortal Kombat Online must of course thank John Tobias for his time and insight. Share your nostalgia for the early days of MK in the Year of the Dragon MKOmmunity thread. Stay tuned to additional updates from around the web by following @MK_Online and liking us on Facebook. I Heared you were just a rumor? What? <br/>Noone's commenting on this awesome interview? <br/> <br/>Seriously, Quan Chi inspired by Nine Inch Nails is a surprise to me. Personally, I've always thought that Quan Chi was inspired by Brandon Lee/Eric Draven's face paint in "The Crow" rahter that NIN. <br/> <br/>On another note, John Tobias always avoid to mention his departure from Midway. He always finds a loophole...never mentioning WHY he left Midway in first place. <br/>Ok, it is clear that there were some disagreements about the direction taken in 1999-2000, but he always fails to explain properly what decisions were taken without his approval. <br/> I also wonder why the good John never tried to be re-hired from Ed Boon and coming back to the team. Currently, Tobias is working on a new video game project, this means that he is still interested in this business. <br/> <br/>Ed Boon is the mind of MK, John Vogel is the story, but Tobias is somewhat the artistic and inspirational soul of the franchise. <br/>Since he left we barely had Kenshi , Onaga, Skarlet and Havik as decent characters. <br/>We need his ideas to create new and better personalities. Noone's commenting on this awesome interview? Seriously, Quan Chi inspired by Nine Inch Nails is a surprise to me. Personally, I've always thought that Quan Chi was inspired by Brandon Lee/Eric Draven's face paint in "The Crow" rahter that NIN. On another note, John Tobias always avoid to mention his departure from Midway. He always finds a loophole...never mentioning WHY he left Midway in first place. Ok, it is clear that there were some disagreements about the direction taken in 1999-2000, but he always fails to explain properly what decisions were taken without his approval. I also wonder why the good John never tried to be re-hired from Ed Boon and coming back to the team. Currently, Tobias is working on a new video game project, this means that he is still interested in this business. Ed Boon is the mind of MK, John Vogel is the story, but Tobias is somewhat the artistic and inspirational soul of the franchise. Since he left we barely had Kenshi , Onaga, Skarlet and Havik as decent characters. We need his ideas to create new and better personalities. Thank you for part 2 though and the interview. I think that the interview as a whole was really well done. I liked the questions that were asked, as they provided for answers that were informative and not just "well, I wouldn't really want to speculate on blah blah blah..."
I get the feeling that he probably would've taken the story for the 3D games in a different direction, and I'd absolutely love to know what that direction would've been and what characters he would've come up with. Aw man,I wish he'd elaborate more on the direction he wanted to take the story in. This interview was great! Though, as others have stated, I do wish John would tell us of his old plans for Mortal Kombat after MK4. I think Drahmin, Ashrah, Taven and Daegon are interesting characters along with the ones you mentioned. 'Specially Drahmin. I think a lot of the 3D era new characters were kneecapped by the engine. <br/> <br/>Deadly Alliance was a game where they were trying to reduce special moves and be a bit of a Tekken clone, and Deception and Armageddon were slow attempts to reverse this idea using the same engine, still leaving a lot of the most famous moves like Cage's nut punch and Cyrax's net out. Only having two or three moves doesn't help new guys establish their identities at all. <br/> <br/>Special moves are half of what makes a character concept well-rounded. They show what the character is all about thematically, i.e. Scorpion is teleporting, hellfire, and a stinger 'cause he's a ghost from Hell named after an insect. <br/> <br/>Now look at Darrius and Dairou whose movesets have no theme and were cobbled together from leftovers like a couple of K-A-Ks. I wonder what they would've fought like if they'd been invented for a 2D MK. I think a lot of the 3D era new characters were kneecapped by the engine. Deadly Alliance was a game where they were trying to reduce special moves and be a bit of a Tekken clone, and Deception and Armageddon were slow attempts to reverse this idea using the same engine, still leaving a lot of the most famous moves like Cage's nut punch and Cyrax's net out. Only having two or three moves doesn't help new guys establish their identities at all. Special moves are half of what makes a character concept well-rounded. They show what the character is all about thematically, i.e. Scorpion is teleporting, hellfire, and a stinger 'cause he's a ghost from Hell named after an insect. Now look at Darrius and Dairou whose movesets have no theme and were cobbled together from leftovers like a couple of K-A-Ks. I wonder what they would've fought like if they'd been invented for a 2D MK. good point about darrious and daioru ,, <br/> <br/> <br/> <br/> <br/>in that regard ,,a superb interview ,,was hoping more of a reveal ,,but good =) ,, <br/> <br/> <br/> <br/> <br/>don't ask me why the series changed the characters so much ,, the concept of always bringing back old char (the conecpt of come and leave again policy) ;p..i mean changed who in it to( .....) and who they left out to come in the next mk game,,(agaaain) ;p ugh! don't ask me why the series changed the characters so much ,, the concept of always bringing back old char (the conecpt of come and leave again policy) ;p..i mean changed who in it to( .....) and who they left out to come in the next mk game,,(agaaain) ;p ugh! awesome interview again. thanks JT and MKO! the reason that MK changed a lot was/is (partly) because ED BOON. his so brilliant mind loves to evolve... his "developed" mind gets bored by something he has already done/seen. so he does it with every MK and he still wants it with the next MK. i understand ED's view but than again it hasn't worked out well for the series. i think "less is more" and that not everything needs to evolve by every time a new part comes out. stick to what is known as GOOD and try to make it BETTER.